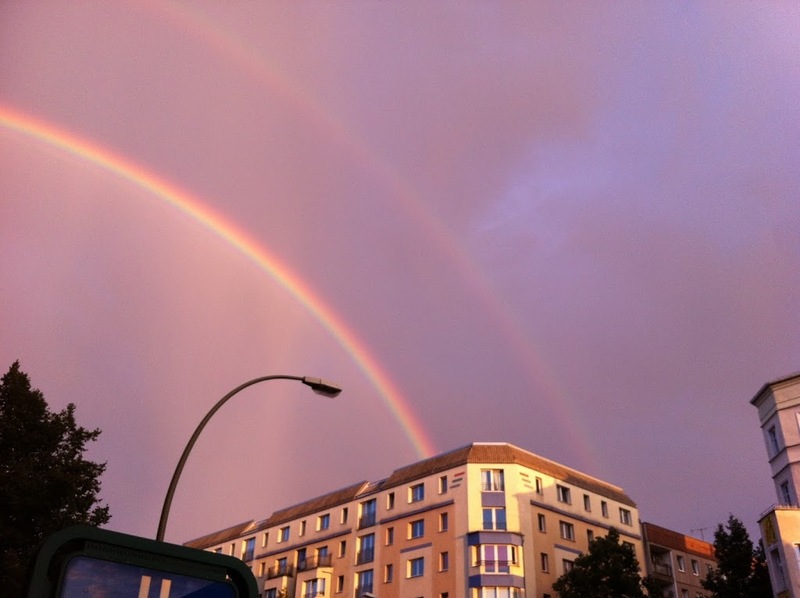 And now for something completely different | Guten Morgen Berlin! 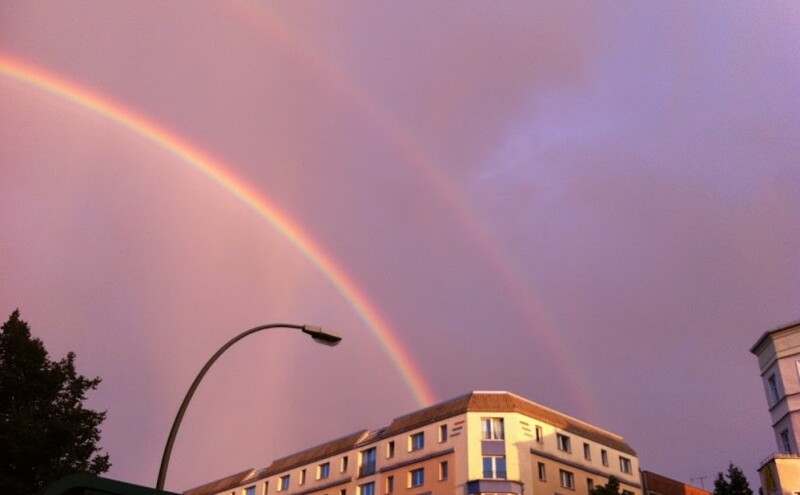 August 26, 2014 January 11, 2015 - Guten Morgen Berlin! Insert passé meme reference here. I was going to write this post about the various stages of massivefaceitis from which I have now (mostly) recovered as an epilogue to the previous two posts about my horrible tooth pulling ‘adventure’. I was, for example, going to tell you about how my cheeks grew so enormous that a guy on the street called me ‘pokemon face’. I was going to describe the big blooming bruise on my right cheek which prompted a passer-by to ask if my boyfriend had been hitting me, right as I was taking the above photo in fact. But you wrote in in your thousands, and apparently my audience (hi, mum!) is a lot more squeamish than I expected, so I’ll spare you guys any more of the gore and grue. Instead, I want to tell you about something wonderful. I want to tell you about my new relationship. It’s a long story, and it starts like this. I woke up one Saturday morning recently and decided that the prospect of spending the morning squelching about in the gym like an animated wet-wipe was more than I could bear. I still needed to do something exercise-y, though, to settle my conscience, so I decided on an Elaborate Plan: I would try to run from my flat to the TV tower and then as far beyond as I could before I flabbed out and gave up. I would then get the nearest U-bahn home and therefore avoid the usual tedium of running where half of the time is spent crankily jogging back the way you came. Unarmed with a bumbag or one of those cool bicep-strap thingys (I’m sure I will find one in Lidl soon enough, though), I had to keep my luggage to a minimum; I safety-pinned my keys inside one of the pockets in my shorts for safety, folded and safety-pinned my month train ticket inside the other pocket for the ride home, and carefully tucked a five-euro note into my sports bra for emergencies. Oh, shut up you perv. I ran and ran and ran and surprised myself with how far I managed to get – I went way beyond the TV tower and past Friedrichstraße, all the while enjoying myself because leaping back and forth out of the way of meandering tourists gave the whole activity the feel of Super Mario Bros. In the end the tourists became chronic towards Ku’damm and there was no way this little blood cell was going to get through all that cholesterol, so I had to turn around and jog back to Alexanderplatz to get the U-Bahn home. It was at that point, when I finally stopped, that I found nothing but a little shredded scrap of cardstock on the safety pin where my train card used to be. Thank goodness for the secret fiver! Well, it was actually now a handful of change swilling around in my pocket as I had just bought myself a bottle of water. But thank goodness I had enough to buy a single train ticket, which I promptly dropped on the floor. Bending to pick up the ticket, I forgot that the cap was off the water bottle and tipped almost the entire thing all over the floor and the ticket. I then dropped all my change. And then the train doors closed and the U5 left the station right before I could get on. The morning had taken a bad turn. When I got home and sorted myself out, I decided that enough was enough. Even though the public transport here is like those hover-taxis in The Fifth Element in comparison to what’s on offer back in Berkshire, I was sick of being shuttled around the place in tin cans. I wanted freedom and the open skies above me; I missed the wind-whipped hair and thigh burn of my college days. I went to the second-hand bike shop. Trying to find a decent second-hand bike in Berlin is a doddle, particularly if you don’t care whether it’s second-hand in the ‘used, then sold’ sense or in the ‘nicked by a vindictive chav’ sense. If the latter really is no bother to you, there are thousands of bikes at the flea markets for your perusal. Otherwise, the city is nonetheless full of great second-hand bike shops to cater for your desires. Unless, of course, you are not of average German height. If you are of a more petite persuasion like myself, going to buy a bike is like going to buy a horse and arriving at the stables to find them full of tyrannosaurus rexes for sale. All the bikes on offer were enormous; I needed a stool to stand on just to see what the handlebars were like. But then, among all the others in the shop, I saw a squat little mountain bike on sale for eighty euros complete with mudguards, a basket, and working gears. And before I could even hesitate, the memory of the stub of my lost train ticket and the pathetic damp single ticket and the euro cents scattered on the U5 platform crossed my mind and I bought the damn thing without a further moment’s hesitation. Stan is not an attractive bike. In fact, I think he’s probably the ugliest bike you’ll see around these parts. The frame is thick and stocky with a weird, chubby-rounded crossbar that makes it look a little bit like the whole thing is actually a swimming-pool inflatable. An attempt to spray-paint it green was thwarted when it started to rain halfway through, so it now has a mottled paint-job on the middle portion of it but nowhere else. But like me, Stan is small, robust and has everything you need, and we’re partners now. Having a bike has opened up Berlin to me like I’ve pulled the ribbon on a wrapped present. Suddenly I can blast down the streets and hear what’s going on, figure out where one part of town is in relation to another, roam around the districts like I’m mapping out the city. I can huff up the hill to work for the delightful moment when I get to wheeee down the hill on the way home. I see the streets differently – the crazy hodgepodge of the architecture is so much more noticeable when you are speeding along, like a kaleidoscope turning – and I shop differently, knowing I can dump that jumbo-sized jar of chickpeas into my bike basket rather than hefting it back home like a sleeping baby. And the best thing is that feeling, that combination of peacefulness and thrill that you get from the breeze and the whirr of the tires as you meander through the streets in the dark or coast along next to your friends. It’s the best 85 euros I’ve ever spent. People who rail against materialism are wrong: sometimes things can make you happy; sometimes things can be keys to places, people, and feelings that are so wonderful, they feel like medicine.